In 2012, Lutheran World Relief (LWR) and its local implementing partners launched the Learning for Gender Integration initiative (LGI), an innovative program to address gender inequality in the context of food security. LGI’s goal was to address inequalities to ensure that men and women have equal opportunities to benefit from LWR’s food security work. LGI focused on learning about good practices in gender integration while piloting three gender-integrated food security programs in India, Nicaragua, and Uganda. These projects, which ended in 2016, were designed to create and adapt tools for use in future LWR projects. In June of 2016, LWR won a Program Improvement Award from TOPS to conduct a final evaluation of LGI’s three projects. Under the grant, Cultural Practice, LLC (CP) designed and led a participatory evaluation integrating two qualitative methodologies, Most Significant Change and PhotoVoice, to capture changes in food security and gender inequalities. The evaluation teams were made up of CP, LWR, and other peer organization staff. 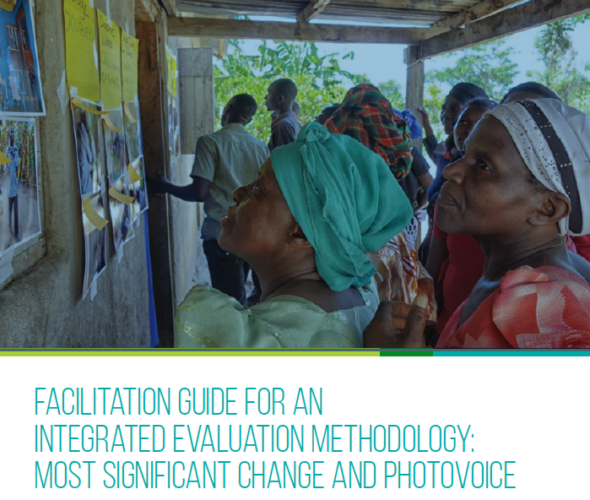 CP worked with the evaluation teams to produce this facilitation guidance on the combined methodology. This document is made possible by a grant from The Technical and Operational Performance Support (TOPS) Program. The TOPS Small Grants Program Improvement Award (PIA) is made possible by the generous support and contribution of the American people through the U.S. Agency for International Development (USAID). The contents of the materials produced through the PIAs do not necessarily reflect the views of TOPS, USAID, or the U.S. Government.